I’m a plus-sized person in this world, which for me, means a lot of frustration when it comes to finding the right sizes, clothes that fit and feel great, and frankly, decent options at all. 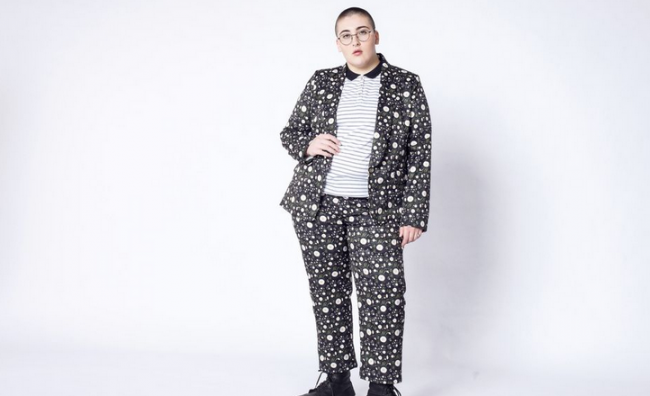 I’m also a lesbian/queer cis woman and while I fall on the femme end of the fashion spectrum, there are many folks who don’t and finding clothes to fit non-binary, masculine of center and trans plus-sized bodies can be an additional challenge. So what’s an LGBTQ person of size to do? Well, I am here to give you some hope. 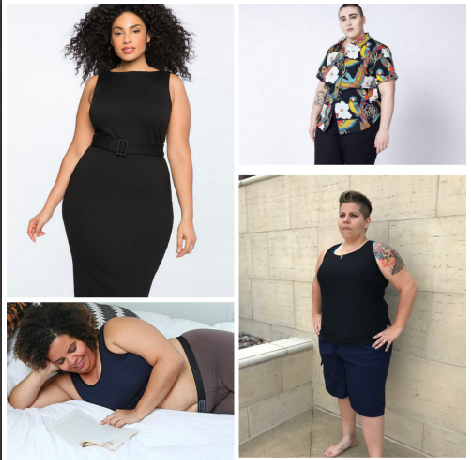 There are brands that have clothes to not only fit your body but make you feel like a million bucks, no matter how you present your gorgeous, plus sized self to the world. Let’s start with what’s underneath. TomboyX is a fabulous brand of undergarments that is queer owned and celebrates all bodies and genders. Their signature undies go up to size 4X, and comes in fabulous designs, styles including boxer briefs and bikinis. They also have bras, sports bras, bralettes, swimwear, activewear and sleepwear. Now that summer’s here, it’s time to hit to water. You’ll need a new swimsuit, and you don’t have to settle for one that’s the back of the rack at the department. You know the one I’m talking about, with all the ruffles. Beefcake Swimwear is combining retro fashion with expanded sizes. These 1920s style one pieces are super fun and come in sizes up to 5X. Some sizes are already backordered so if you are interested, hurry up an check them out. Universal Standard is a newer plus-size clothier on the block, but they have wonderful clothes and star power. 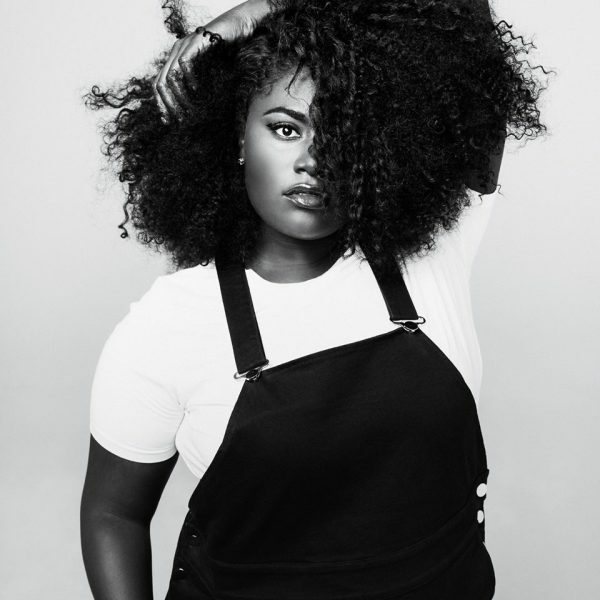 (Actress Danielle Brooks has her own collection.) Their real draw is their solid and well made professional essentials, like their Tee-Rex shirt, which I own and is my absolute favorite. You can also order fashion kits, which include tops, skirts or slacks, jeans, and more. Get mix and match essentials of super high quality for work or play. 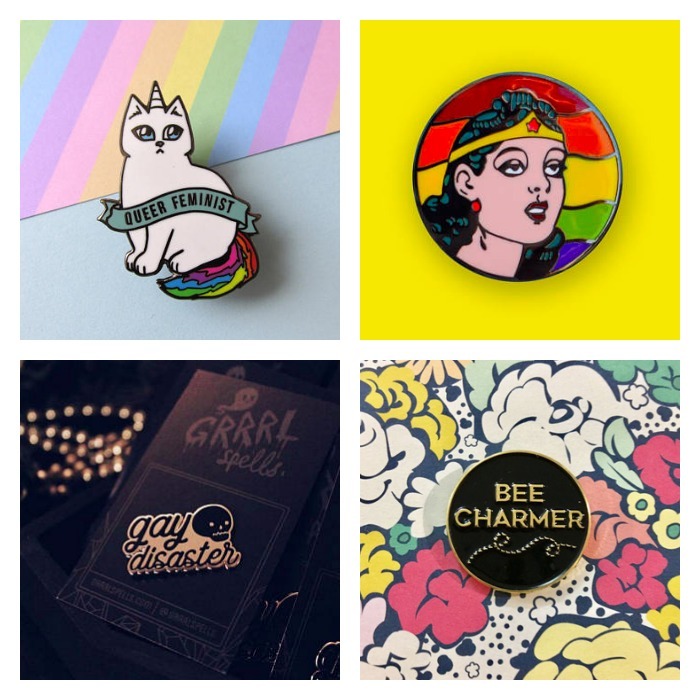 Wildfang has been a name in queer fashion for a few years now, and I’m happy to say they have recently expanded their sizing to include people of size. Now you can score one of their unique and killer suits, which come in 2XL now. Hopefully they will soon carry 3XL and 4XL as well. Hautebutch is new to me but I lurve them so much. 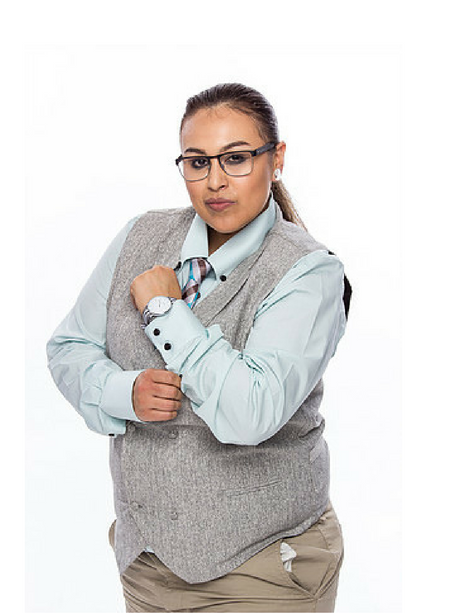 This “tomboy-style clothing line” offers suiting, fierce button-downs, and more, some coming in sizes up to 6XL. Yes, you read that right. If you love looking stylish, and have a flare for suiting and slick slacks, check them out. If you follow me on social media or saw me in my burgundy suit at ClexaCon, then you know I’m a big fan of Eloquii. 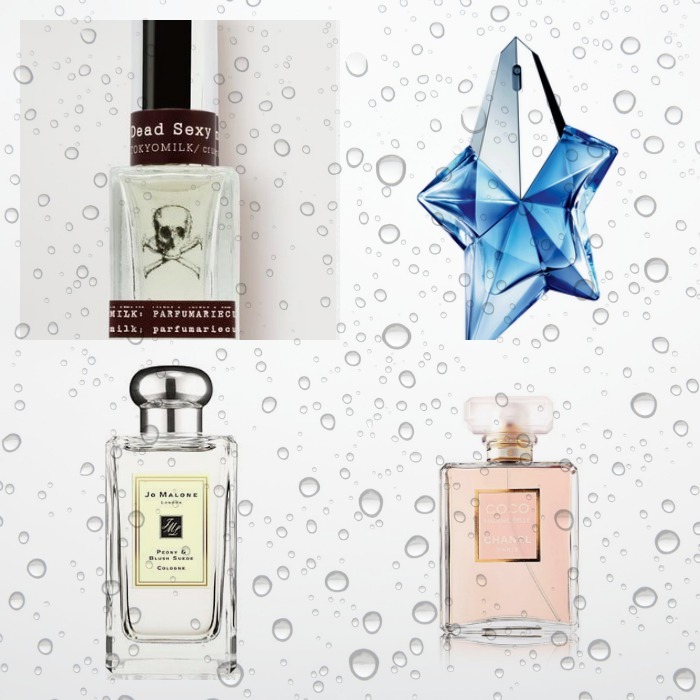 Eloquii has a little something for everyone, but is definitely the place to check out if you are more femme presenting. There are endless skirts, dresses, and blouses, plus great suiting, jackets and jeans. Gotta love Dapper Boi. They are doing some really great work, and I’m particularily obsessed with their button up shirts, that go up to 3X and have a snap to prevent that chest gap that can deter plus-sized folks from wearing that style. They also taking into consideration curves, and widen out at the hip and rear. Don’t sleep on their jeans, swimwear, or outerwear either. Also their promo videos are adorable. Ok, so some of you might be saying, “Dana, I’m not looking for high fashion, I just want a tee shirt that fits and feels great.” I’ve got you. 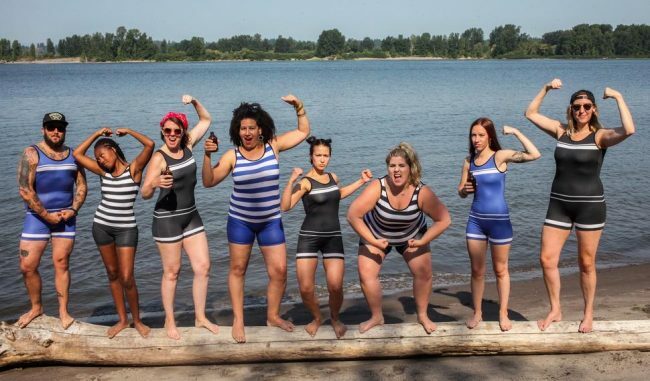 Feminist Apparel and Gay Apparel (no relation) are making badass shirts that fit plus size bodies as well, with fun and meaningful messages. Target also has a solid line of plus-sized apparel, though all to often, the in-store selection is slim picking. Look for Ava and Viv and Universal Thread for some nice, reasonably priced casual wear. Need some serious denim? My jean of choice, hands down, is from Kut From the Cloth. Their structured jeans give me a little stretch but also great support, and they have a variety of options that go up to size 24. Also don’t count out Levi’s plus collection, which goes up to size 26. For a fun and funky burst of colored demin, there’s Celebrity Pink which you can find at many department stores like Macy’s or Belk. Their pants are less structured with a lot of stretch, and perfect for those who love the super skinny jean or jegging look. I hope this list has inspired you to go out there and conquer the plus-sized fashion world…or at least feel amazing in your own skin. You are beautiful and worthy of clothes that fit and feel great. There are places out there that value you and see you. We appreciate being included and Thank you for the lurve!